The Sonux Ensemble takes its name from the hybridization of the Latin words sonus (sound) and lux (light). This men’s choir from Northern Germany is made up of the tenors and basses from the Chorknaben Uetersen directed by Hans-Joachim Lustig. While the performance repertoire for this group spans all periods and genres, this CD is dedicated to modern compositions specifically written and arranged for the Sonux Ensemble. 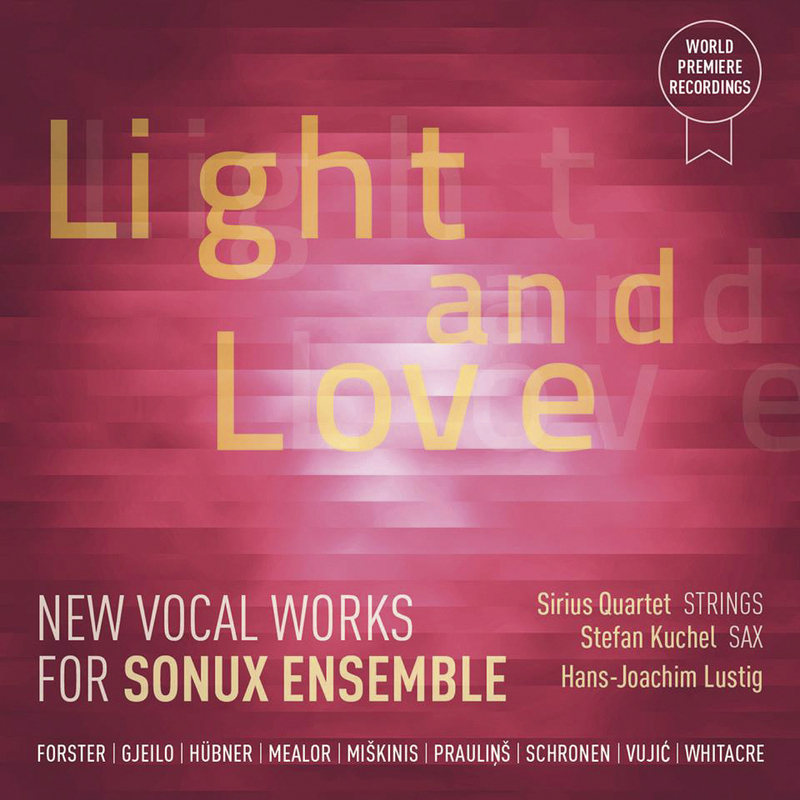 Light and Love: New Vocal Works for the Sonux Ensemble is a collection of world premiere compositions and arrangements. All but a few of the works in this recording were written specifically for the group. 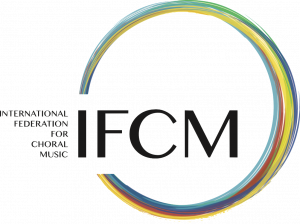 The hallmark feature of this CD is that every selection, including a new realization of Eric Whitacre’s Five Hebrew Love Songs, stands as a premiere performance. In the never-ceasing struggle to program new music for male choirs, this recording is a must have. Each selection addresses the subtle relationship of light and love as concept. The over-arching vocal characteristic of this CD is defined by its youthful vitality, which is achieved to great effect under the direction of Mr. Lustig. The choral tone is warm, round and at once sensual and mature. The depth of tone is substantiated in each selection through a high level of vocal artistry demonstrated by each singer. Mr. Lustig establishes a clear concept of textual understanding and interpretive strength throughout the CD without degeneration into faux emotionality and gravitas. At first glance, Light and Love is an eclectic meandering through remembrances of familiar aural landscapes. Upon deeper investigation, the listener is compelled to embrace organic realizations of how these two elements define the human experience. There is beautiful symmetry in the opening and closing selections of Light and Love, and all works speak directly to the limitless, incorruptible power of love as seen through the eyes of youth. In this way, it is no wonder that the Sonux Ensemble is able to provide an authentic rendering that is capable of communicating the delicate dimensions of light and love. The opening track, Light, my light by Vytautas Miškinis (b. 1954) with text by Rabindranath Tagore is luminescent. I Saw Eternity by Paul Mealor (b. 1975) with text by Henry Vaughan comes across as celestial and inward. In the liner notes, Holger Haushahn states that To the Light, by Latvian composer, Uģis Prauliņš (b. 1957), “is about different levels of awakening: from illusion to truth, from darkness to light, from death to eternal life”. With text by Brhadaranyaka Upanisad, this is a powerful expression of a universal journey defined by hope. Sacred Light by Ola Gjielo (b. 1978) with text by George Herbert depicts manifestations of perceived light: powerful, dancing, muted, intermittent. Charles Anthony Silvestri penned the eponymous poem Light & Love for this premiere recording, which is set twice. The first by Tobias Forster (b. 1973) and the second setting is by Alwin Michael Schronen (b. 1965). These two compositions are seemingly diametric visions of the Silvestri text. Silvestri states that he is “bridging the gap between the two concepts just as white light is dispersed by a prism.” Saxophonist Stephan Kuchel is extraordinary throughout this CD. Five Hebrew Love Songs by Eric Whitacre (b. 1970) with text by Hila Plitmann there is warmth with this arrangement for men’s voices. Aleksandar S. Vujić’s (b. 1945) setting of the anonymous text Dû bist mîn, is carefully composed with symmetrical scaffolding and punctuated by dissonance in willful contrast to the sentiment of the text. Fragmente aus dem Hohelied des Salomons (Fragments from the Song of Songs) by Gregor Hübner (b. 1967) contains multiple verses from the Song of Solomon. Influenced by the improvisatory nature of jazz, this work highlights the virtuosic abilities of the Sirius Quartet while never losing sight of its relationship to the intimacy of the text. This work can best be described as a vivid daydream. The four movements, or fragments of this set express the essence of love in bloom, from the first movement’s sense of urgency and hope; the physical longing and anticipation of movement two; the third movement’s turmoil and passion; and finally to the boundless joy and exuberance of the fourth and final movement. Light and Love: New Works for the Sonux Ensemble was collected from recordings made between November 2012 and May 2013 in the Katholischen Kirche Uetersen in Wedel, Germany. This early 20th century structure provides a surprisingly honest acoustic, which illuminates the strength of ensemble as well as the virtuosic partnership with Stephan Kuchel and the Sirius Quartet.